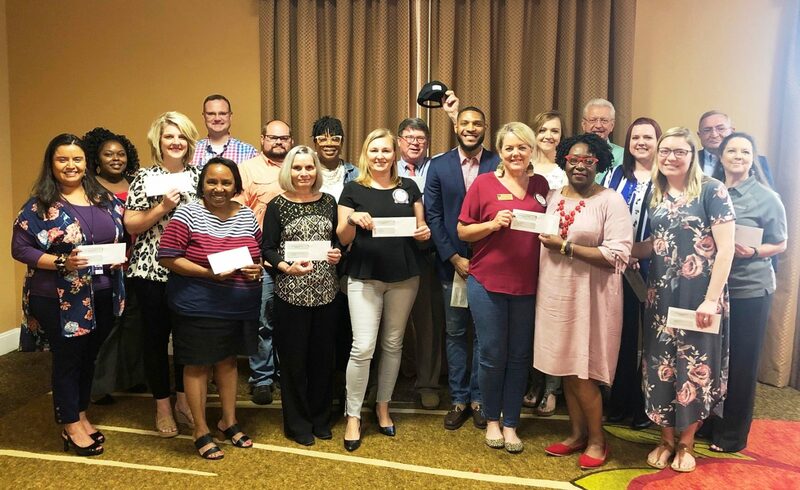 The Exchange Club of Tifton presented grant checks to the agencies and organizations in the Tift area that are on the front lines of treating and preventing child abuse in some way. Over $15,000 in grant funds were handed out. These funds came from the recent Bids for Kids Televised Auction. Those receiving grants were: Called to Care, Coastal Plain CASA, Everette Temple/Maggie Campbell’s Gingerbread House, First Presbyterian Angel Tree, Kids Advocacy Coalition, Mim’s Kids, Winshape Camps, Patticake House, Peanut Butter & Jesus, PLIGHT, The Salvation Army, LIFEhouse, Tift County Commission on Children & Youth, Tift County Needy Children’s Fund, Tiftarea House of Hope.